Item # 304312 Stash Points: 3,997 (?) This is the number of points you get in The Zumiez Stash for purchasing this item. Stash points are redeemable for exclusive rewards only available to Zumiez Stash members. To redeem your points check out the rewards catalog on thestash.zumiez.com. 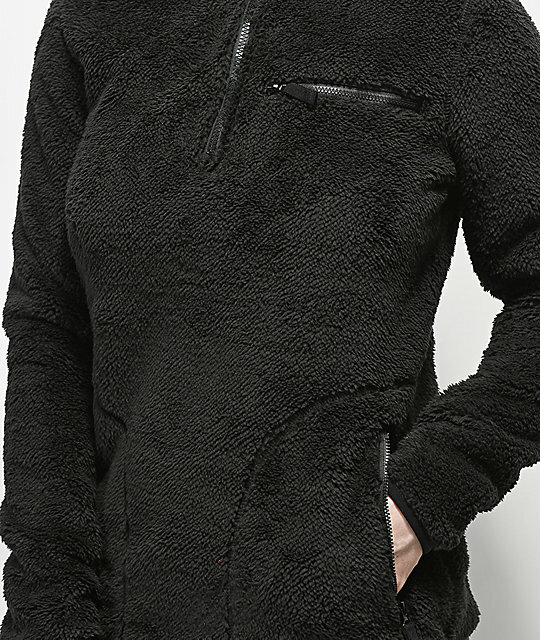 Cozy is an understatement when talking about the Posie Black Sherpa Quarter Zip Jacket from Empyre. 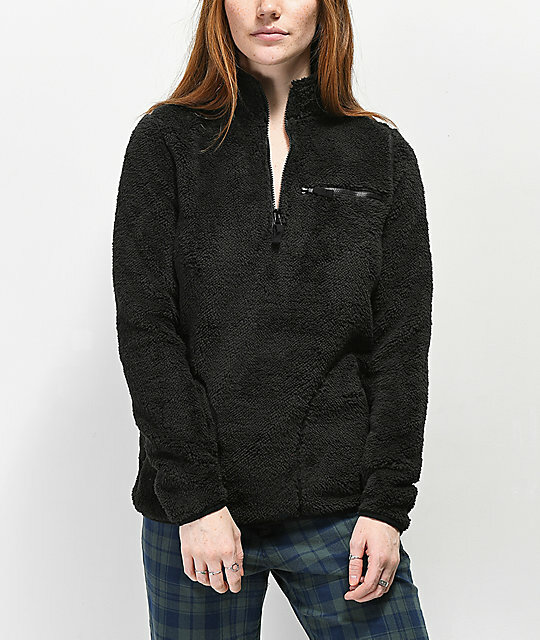 This ultra-soft quarter zip pullover is cut from a high-pile sherpa fleece material for ultimate warmth and comfort. Two zippered handpockets, along with a zippered pocket at the left chest create a look that is sure to keep you warm and stylish during the cold weather months. 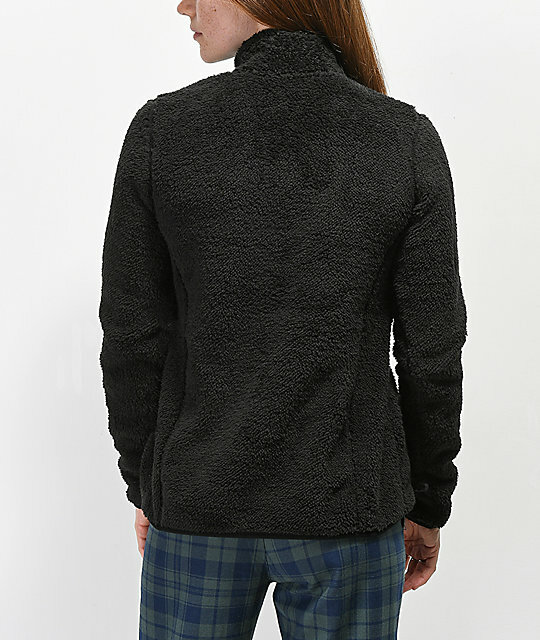 Posie Black Sherpa Quarter Zip Jacket from Empyre. Quarter zip up closure with mock neckline. Thin banded sleeve cuffs and bottom hem. Two hand pockets with zipper closures.